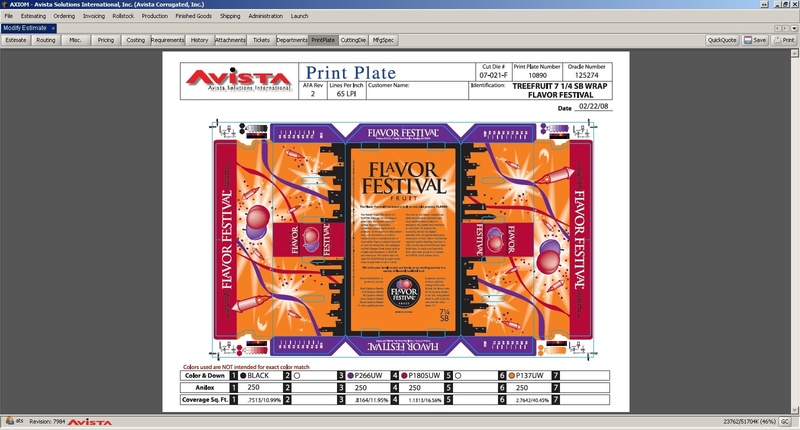 AXIOM is a Core Business System that integrates estimating, order entry and invoicing with all of our other production management applications for sheet, sheet feeder and full box plants. AXIOM delivers extensive customer contact and workflow tools that enable real-time collaboration between every department in your organization. AXIOM offers complete visibility of your facility’s real time data from within the AXIOM shell. 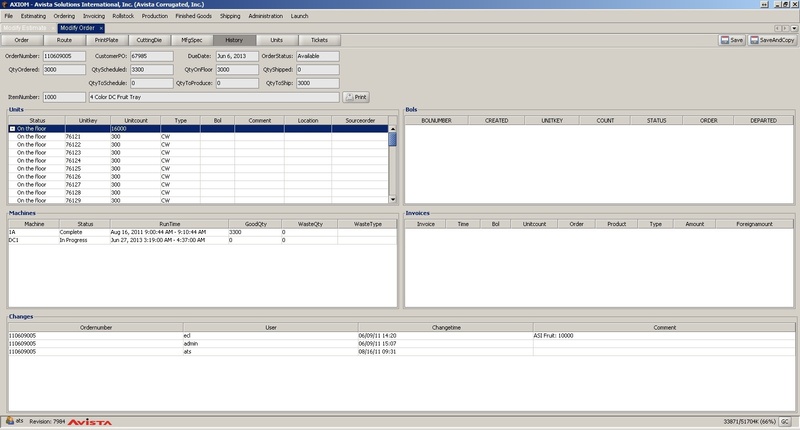 A facility that has multiple Avista applications can see all applications from the drop-down menu selections within AXIOM. The only fully integrated specification management, estimating, price list construction, order entry and invoicing system specifically for sheet feeders. AXIOM protocol defines procedures that allow for easy integration with third party accounting systems, such as SAP Financials, Oracle Financials, MAS 90, MAS 200, MAS 500 or Great Plains. Fully customizable reporting. The AXIOM shell will launch custom designed reports important to sheet feeder management. 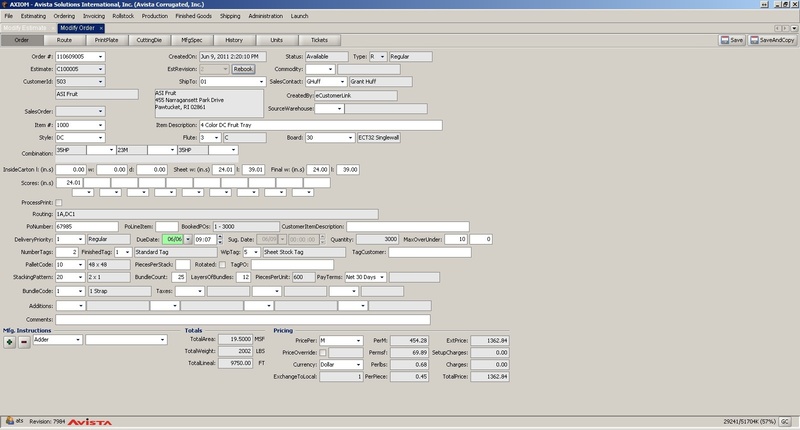 Front office functionality designed specifically for the optimization of Sheet Feeder performance. Axiom provides Managers with complete access to the information required to manage the entire business. 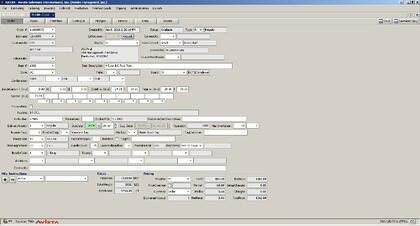 This takes the form of Dashboards which can be viewed on PCs, Tablets and Smart Phones in plant or via the internet. Request for Quotes (RFQs) can be internally generated from a phone call or salesperson, or directly from the customer on the internet via the Amtech eCustomer Link system. Estimates are generated for RFQs, and orders are then booked against estimates. Graphics, Design, Costing and Estimate creation are electronically passed though the defined departments with a configurable authorization procedure controlled by user accounts. This ensures that management chain approval is granted for each. Pricing and costing strategies are infinite and configurable in AXIOM. For example, Customer A may have a strategy that is simply 15% over the estimated cost of production. Customer B might follow a much more complicated strategy using a surcharge for waste, a discount on paper consumed or a freight exemption. A pricing strategy can determine what revenue an order should generate. When confronted with a given or market price, the pricing strategy can return whether or not accepting a specific order is profitable. AXIOM allows estimates to be created on a selling or manufacturing plant basis. For integrated plants, orders can be assigned a “selling” plant identification, while allowing for manufacturing to be done in a sister plant best suited to run the order. This allows a plant to retain the sales credit while still meeting the customer’s needs in a manner most effective and beneficial to the whole company. orders are then booked against estimates. Graphics, Design, Costing and Estimate creation are electronically passed though the defined departments with a configurable authorization procedure controlled by user accounts. This ensures that management chain approval is granted for each. Pricing and costing strategies are infinite and configurable in AXIOM. most effective and beneficial to the whole company. Integrate estimating, order entry and invoicing.